In a photo from 1906, J.M. Barrie plays pretend with Michael Llewelyn Davies in a tree-covered field. Michael is Peter Pan and Barrie his Hook as they wrestle to the ground, smiling all the while. Light filters into the frame, and the world appears joyous in its serendipity. Of course, Barrie wasn't just Hook, but Peter, too. He was the boy who would never grow up, "an innocent," as Nicholas Llewelyn Davies described him. Barrie didn't give up his endless imagination for posh adulthood, and his soul mates were always children who climbed trees and ran rampant in Kensington Gardens. It is this Barrie that has found his way to the Lunt-Fontanne Theatre -- energized, trapped in the body of a man with the mind of a kid. He's complex, stunted by society's expectations and searching for a creative outlet beyond the clichés of Victorian drama. He's your typical protagonist/antagonist, endearing in his personal conflict, relatable in his self-psychological warfare. 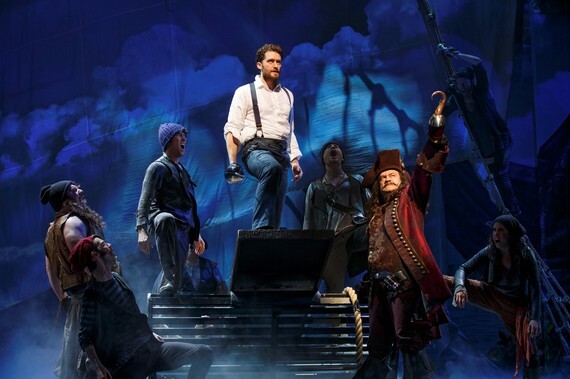 And in Finding Neverland, he's brought to life by Matthew Morrison, who imbues Barrie with a luminous charm that makes him the most likable guy now on the Great White Way. As one of Broadway's most anticipated musicals of the 2014-2015 season, Finding Neverland doesn't disappoint. It captures the vivacity we search for in the nooks and crannies of the universe while somehow transcending reality and entering a territory where fairies exist, children can fly, and nothing's quite as terrible as it seems. It's a reflection of Barrie, whose narrative could be a tragedy if drawn the wrong way. An allegedly unconsummated marriage with an adulterous wife, a grievous mother and lost brother, and even the deaths of those dearest to him -- Barrie's biography was anything but a walk in the park. However, it was his intoxicating point of view that gave him and his plays the kind of whimsicality that warrants immortality. In some respects, Finding Neverland is an ode to Barrie, a history with some facts harmlessly distorted. 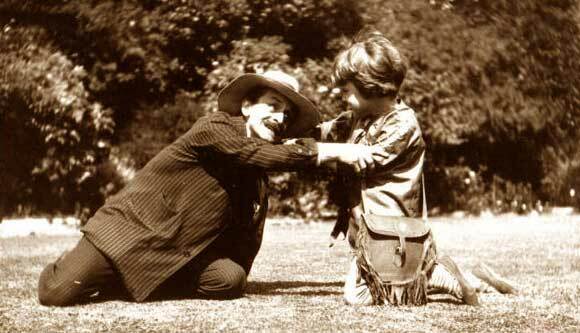 It's the tale of how Barrie grew to adore Sylvia, George, Jack, Michael, and Peter Llewelyn Davies, and how their family inspired his acclaimed Peter Pan. 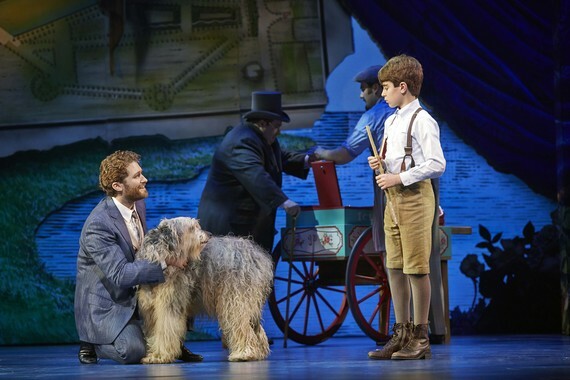 But really, Finding Neverland serves the same purpose that playwright George Bernard Shaw prescribed to Barrie's masterpiece: "ostensibly a holiday entertainment for children but really a play for grown-up people." With stunning scenic design by Scott Pask, the audience will embark on a pirate's ship, sneak into a private first rehearsal, and join a secret dinner party that's much more riotous than your average New York night on the town. But beneath the enchanting eye candy are Gary Barlow, Eliot Kennedy, and James Graham's book and score, which elevate the production from frivolous fun to digest-able depth. 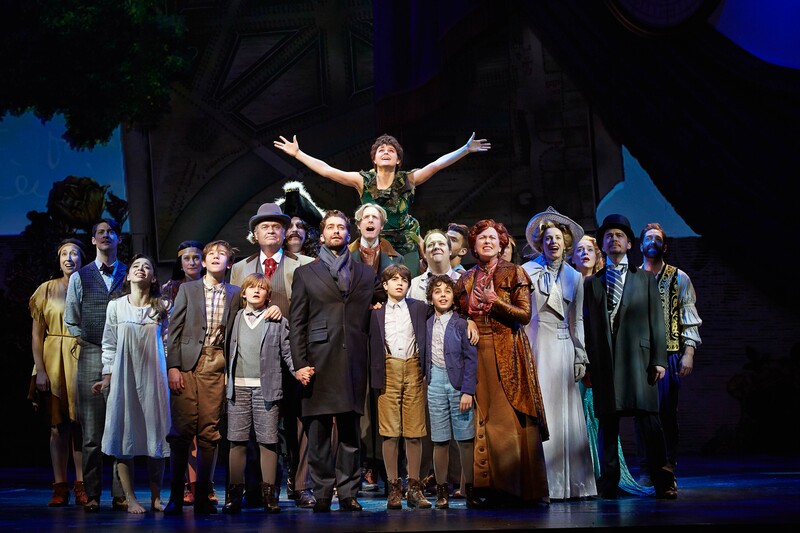 Based on the 2004 film, Finding Neverland's plot intertwines with compelling subtexts about the struggle within. As the story unravels, Graham continually draws parallels between Barrie, the people in his life, and his characters. The tension culminates at the end of Act I with "Stronger," when Barrie is joined by his shadow ego, Captain James Hook. This is one of two tunes that a viewer may whistle while he wanders out into Times Square; the other is "When Your Feet Don't Touch the Ground," which is a sweeter, more sentimental choice. The second act is just as polished and poignant as Barrie finds his wings. If all of this sounds corny, it's not. It could be with any other cast, but here, each player brings out the nuance within his role, allowing for multi-dimensionality in everyone. Nevertheless, it's the leads that stand out, and how could they not? Morrison, fresh off of Glee's finale, belts with a twinkle in his eye that shows how much he's missed the stage. His romance, Laura Michelle Kelly, sings "All That Matters" with passion that desperately makes you want to experience the kind of love Sylvia felt for Barrie. Though Kelsey Grammer's voice is lacking, he makes up for it with his panache and raw charisma as American producer Charles Frohman and Hook. But most impressive is the young Aidan Gemme, who gives a breathtaking performance as Sylvia's son, Peter. When Gemme and Morrison share a duet, the moment feels special, as though it can't be replicated by a soundtrack or recording. Instead, like anything of quality, it has to live on in memory. When the curtain closes, a majestic myriad of blues, purples, and pinks, it's almost a shame. You might want to linger, to wait a while and see something so lush again. But maybe it's better this way; you've had two and a half hours of pure bliss, and it's been amusing and beautiful and wondrous. You've visited Neverland! Now, it's time to go home, but don't let the grin fade. Remember: "Those who bring sunshine to the lives of others cannot keep it from themselves."